BETHANY PETTY is a teacher, coffee fanatic, and 2017 EdTech Digest School Leader Finalist. She writes about thoughtful uses of technology in education at http://usingeducationaltechnology.com/ and is also the author of Illuminate: Technology Enhanced Learning (https://amzn.to/2DGx6lz). In our conversation, Bethany recalls the challenges around teaching students not much younger than her. She discusses the main message of her book, Illuminate, and the ways that her passion for history plays out in and out of the classroom. She also talks about coffee, the importance of exercise, and some of her top picks on Twitter, edtech tools, and more. Follow Bethany online here: TW: https://twitter.com/Bethany_Petty IG: https://www.instagram.com/bethanypetty_educ8 Blog: http://usingeducationaltechnology.com/ Visit https://teachersonfire.net/ for show notes and links from this episode. 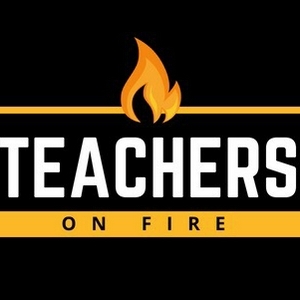 Follow the Teachers on Fire podcast on Twitter at https://twitter.com/TeachersOnFire. COLBY SHARP is a husband, father of five, fifth grade teacher, avid reader and book reviewer, runner, and self-proclaimed nerd. He is the author of The Creativity Project: An Awesometastic Story Collection (https://amzn.to/2zpzGZf) and 2018’s Game Changer! : Book Access for All Kids (https://amzn.to/2QTtsqX). In our conversation, Colby recalls the discouragement of a harsh professional evaluation and explains how he grew from the experience. He describes the mission and process of The Creativity Project, and explains how teachers can use this anthology to inspire creative expression in their English classrooms. He also shares about his passion for reading, putting books in the hands of kids, creativity, daily exercise, podcasts, Casey Neistat, and much more. Follow Colby online here: TW: https://twitter.com/colbysharp IG: https://www.instagram.com/colbysharp/ Blog: https://www.mrcolbysharp.com/ YT: https://bit.ly/2OIfAyt Visit https://teachersonfire.net/ for show notes and links! CRAIG KEMP is a head of Digital Learning and Innovation, teacher of teachers, blogger, workshop facilitator, and speaker. Although he hails from New Zealand and now calls Singapore home, Craig is truly a global force for innovation in education. In our conversation, recalls the challenge of rebuilding a school community after the tragic loss of a student. He describes how his current role constantly requires him to look, investigate, and use technology in new ways that improve learning. He tells us why team sports represent the perfect mix of fitness, play, and collaboration … and how he always plays to win! Craig also shares great recommendations in books, Twitter, YouTube, and more. Follow Craig online here: TW: https://twitter.com/mrkempnz FB: https://www.facebook.com/Mrkempnz/ Blog: http://mrkempnz.com/ Follow Teachers on Fire! TW: https://twitter.com/TeachersOnFire IG: https://www.instagram.com/teachersonfire/ Visit https://teachersonfire.net/ for show notes, links, and more. JARROD DUMAS is an assistant principal at Oak Hill Middle School in Sabattus, Maine. He recently published Unlocking Excellence: A Guide to Becoming an Extraordinary Educator. Check it out at https://amzn.to/2woY9Lh. In our conversation, Jarrod recalls a great story about how his own sarcasm once cost him in the classroom. He shares about the heart and message of his book and discusses the sources of his excitement in education today. We also get into Carl Jung’s archetypes, fitness, educators to follow on Twitter, Sherlock Holmes, and more! Follow Jarrod online here: TW: https://twitter.com/Xtraordinary247 IG: https://www.instagram.com/xtraordinary_educator/ FB: https://www.facebook.com/xtraordinaryeducator/ Follow the Teachers on Fire podcast on social media! TW: https://twitter.com/TeachersOnFire. IG: https://www.instagram.com/teachersonfire/ FB: https://www.facebook.com/TeachersOnFire/ Visit https://teachersonfire.net/ for show notes and links from this episode! JOSHUA STAMPER is an assistant principal, husband, father, blogger, and graphic artist in Frisco, TX. He’s also the host of Aspire: The Leadership Development Podcast. You’ll find his writing at https://joshstamper.blogspot.com/. In our conversation, Josh discusses the mission and vision of his podcast on leadership in education, Aspire. He tells us why he’s excited about the incredible changes that have come to education in the last decade, pointing out that “But this is the way we’ve always done things” doesn’t fly anymore. He explains how his experience in graphic design contributes to his current work, and reminds us that school cultures aren’t built from behind desks. Finally, he gives us some great recommendations for books to read, Twitter personalities to follow, and more. Follow Josh online here: TW: https://twitter.com/Joshua__Stamper IG: https://www.instagram.com/joshua__stamper/ Podcast: https://soundcloud.com/mr_stamps Visit https://teachersonfire.net/ for more info! JAROD BORMANN is an advocate for educator empowerment, a tech integration specialist, adjunct professor, learning designer, speaker, blogger, and the author of a new book, Professionally Driven: Empower Every Educator To Redefine PD. In our conversation, Jarod talks about the need to redefine and reimagine PD with three main features at the core: 1 growth mindset, 2 intrinsic motivation, and 3 sustainable autonomy. In the age of Google and instantly available facts, he also explains how technology can unleash greater creativity, higher level thinking, and problem-solving for learners. Check out Jarod’s book on Amazon at https://amzn.to/2B4dTci Follow Jarod! TW: https://twitter.com/jbormann3 FB: https://www.facebook.com/professionallydriven/ Website 1: https://www.professionallydriven.com/ Website 2: https://www.professionallydriven.com/the-book YT: https://www.youtube.com/channel/UCAxdYkAmeElPKdbEVEipA-A Visit https://teachersonfire.net/ for notes and links from this episode! KRISTIN HUNDT is a devoted wife and mother of four boys, a 6th grade teacher, lifelong learner, and global citizen. Her passions include genius hour, project-based learning, the outdoor classroom, the 40 book challenge, and student voice. In our conversation, Kristin talks about her drive to provide good reading materials for her students. An engaged reader herself, she advocates for student voice and choice, genius hour, going gradeless, standards-based feedback, and revision of work. Kristin also shares some awesome recommendations for books to read, Twitter accounts to follow, and much more. Kristin was recently featured in The PBL Playbook by AJ Juliani. Check out that title on Amazon at https://amzn.to/2noKqQM. Follow Kristin! TW: https://twitter.com/KMHundt Blog 1: www.voicechoiceandpaperairplanes.com (education) Blog 2: www.theluckiestnomatterwhat.blogspot.com (parenting) Visit https://teachersonfire.net/ for more show notes on this episode, including timestamps and links. JOHN SOWASH is an educator, freelancer, presenter, husband, and dad. He is also the author of The Chromebook Classroom, which you can check out at http://chrmbook.com. In this conversation, John describes how a dead end in his high school context launched him into the business of teaching teachers - a true passion. You’ll hear him explain why the Chromebook is so much more than just a web browser - it’s a creation tool as well. You’ll also hear about the personal habit that keeps him on track, some great edtech tools to consider using, and much more. Check out The Chromebook Classroom on Amazon at https://amzn.to/2O34vap Follow John! TW: https://twitter.com/jrsowash IG: https://www.instagram.com/jrsowash/ FB: https://www.facebook.com/chromebookclassroom YT: https://www.youtube.com/user/jrsowash WWW1: http://electriceducator.blogspot.com/ WWW2: https://www.chrmbook.com/ WWW3: https://www.geducator.com/ Visit www.TeachersOnFire.net for links and notes on this episode. DAN JONES is a 7th and 8th Grade Social Studies Teacher in Mansfield, OH. He is the K-12 Editor for Flipped Learning Review Magazine and the author of Flipped 3.0 Project Based Learning: An Insanely Simple Guide. In this conversation, Dan tells us about the time his passion for teaching died and he almost quit the profession entirely. Instead, he Googled “new and innovative teaching practices” and stumbled across the flipped classroom, which set him on a journey of transformation. Dan also tells us about a personal passion that energizes him, a habit that contributes to his success, and recommends some amazing resources for educators. Check out Flipped 3.0 Project Based Learning: An Insanely Simple Guide on Amazon at https://amzn.to/2K0Vzjy Follow Dan ... TW: https://twitter.com/ideasforteacher IG: https://www.instagram.com/ideasforteachers/ FB: https://www.facebook.com/mrjonesflippedclassroom/ WWW: https://flippedtrainer.weebly.com/ Visit TeachersOnFire.net for more info! Andi McNair is a keynote speaker and trainer specializing in edtech, genius hour, and innovation in education. She is also the co-founder of #makeithappenEDU and the author of Genius Hour: Passion Projects that Ignite Innovation and Student Inquiry. In this conversation, Andi describes the low moment in her classroom that changed it all for her - when she realized her learners were completely disengaged and she knew she needed to reimagine her practice. Thanks to some inspiring education leaders, she began a journey of passion-based learning and has never looked back. Andi also tells us why it’s a great time to be an educator and shares some great recommendations for books to read, Twitter accounts to follow, and more. Check out Genius Hour: Passion Projects that Ignite Innovation and Student Inquiry on Amazon: https://amzn.to/2uR037B Follow Andi on Twitter at https://twitter.com/mcnairan3 and on the web at http://www.andimcnair.com/. Visit TeachersOnFire.net for more info! Joy Kirr is a 7th Grade ELA teacher in Elk Grove, Illinois. She writes at http://geniushour.blogspot.com/ and in 2017 published Shift This! : How to Implement Gradual Changes for MASSIVE Impact in Your Classroom. In this conversation, Joy takes us to a moment when a parent criticized her publicly with “Genius Hour is crazy - and all the parents think so!” She shares what she learned from that experience and how it has changed her communication going forward. Joy describes the main message of her book, Shift This, which puts the focus on student-directed learning opportunities. She also points us toward a Twitter account to follow, an edtech tool that she is enjoying, and more. Check out Shift This! on Amazon: https://amzn.to/2O4rsL8 Follow Joy online: TW: https://twitter.com/JoyKirr IG: https://www.instagram.com/joykirr1/ Web: http://geniushour.blogspot.com/ FOLLOW Teachers on Fire on Twitter: https://twitter.com/TeachersOnFire VISIT https://teachersonfire.net/ for more info! Sarah Johnson is an author, speaker, and consultant in the areas of instructional leadership and personal-professional balance. With experience as an English teacher and principal, she likes to laugh, sing, and makes a habit of running every day. She is a co-author of Balance Like a Pirate: Going Beyond Work-Life Balance to Ignite Passion and Thrive as an Educator. Her mission? Helping Educators Thrive at Work, Home, and Life. In this conversation, Sarah describes the main message and heart of her book, which describes her experience and the lessons she’s learned from living out of balance as a school principal. She talks about the personal passions and practices that support her self-care and growth today, and offers some great recommendations for books to read, Twitter accounts to follow, and more. Follow Sarah on Twitter @SarahSaJohnson & @BalanceLAP, on Instagram @SarahSaJohnson, and on Voxer @sarahsajohnson. Bryon Carpenter is a high school teacher at the Abbotsford Virtual School in Abbotsford, BC, Canada. As a trained scientist, passionate creator, and lifelong learner, Bryon serves in the spaces of library, math, science, and ADST (Applied Design and Skills Technologies). Bryon’s passion? Seeing teachers utilize new technologies to advance student learning and help them represent their learning in new and creative ways. Outside of education, Bryon is passionate about fishing and woodworking, and he credits daily journaling as a key to his personal and professional success. Bryon also points us toward a Twitter account to follow, a podcast to check out, a title to add to our book lists, and much more. Follow Bryon on Twitter @BryonCar, on Instagram @Bryon.Carpenter, and visit his blog at http://bryoncarpenter.com/. VISIT TeachersOnFire.net for more show notes on this episode, including timestamps and links. Jeff Bradbury has been recognized as an ASCD Emerging Leader, Google Certified Teacher and Trainer, and digital innovator. The founder of TeacherCast.net, Jeff has spoken at TEDx and other conferences, provides training and consulting for educators across the United States, and currently produces ten regular educational podcasts. Simply put, there aren’t many people in the world producing more resources for educators than Jeff. In this episode, Jeff talks podcasting, ISTE, funding models for content creators, the Twitter algorithm, how to build a PLN, learning management systems, personal branding, and more. When it comes to creating education content, Jeff advises, make it from a place of personal passion and you'll never get bored. Follow Jeff on Twitter @TeacherCast, visit TeacherCast.net to access all of Jeff’s podcasts and instructional resources, and subscribe to Jeff’s Youtube channel at https://www.youtube.com/user/TeacherCast. Jeff Gargas is the COO/Co-founder of Progressive Mastery Learning and The Teach Better Team. Jeff works with teachers across the United States to help them improve their practice and “reach the unreachable student.” An entrepreneur at heart, Jeff shares about the challenges of hitting walls in the music industry and the educational training space. He shares how he redefined his mission, finding strength in gratitude and the knowledge that as long as he was doing the right thing for learners, the rest would follow. Today, Jeff loves nothing better than to see teachers learn, grow, and take risks to improve their practice. In our conversation, he points to an app that reliably corrects his mindset, recommends some great Twitter accounts to follow, and more. Follow Jeff on Twitter @JeffGargas & @TheGridMethod, and check out the great resources he offers teachers at TeachBetter.com, TeachBetterAcademy.com, and www.facebook.com/thegridmethod. For more info, visit TeachersOnFire.net. Nicholas Amaral is the district staff development coordinator at the Ramapo Indian Hills Regional High School District in Bergen County, NJ. Nick’s passion is education technology: helping teachers help students create and innovate in their classrooms. In our conversation, Nick shares about a point early in his teaching career when he faced deep discouragement and a lack of motivation. Rather than turn in the towel, he doubled down, reinvented his practice, and engaged his learners like never before. Today, Nick gets excited about blended, personalized, and mastery learning, and he describes the personal habit that energizes him outside of education. Don’t miss his recommendations in books, Twitter, edtech tools, and more! Follow Nick on Twitter @NAmaralEDU and check out his blog over at https://edtechforay.wordpress.com/. VISIT the Teachers on Fire Podcast official site for more show notes on this episode, including timestamps and links: TeachersOnFire.net. Soney Day is a 2nd grade teacher at Coy Miller Elementary School in Frisco, TX. As a teacher, mom, tech integrator, proud Texan, and Seesaw ambassador, Soney enjoys advocating for young learners and strives to have an innovator’s mindset. In our conversation, Soney shares about an emotionally draining challenge she faced in just her second year of teaching. Although it was nightmarish at the time, she calls it a learning experience today and mentors new teachers using some of the knowledge gained from that ordeal. Soney tells us why she’s such a big booster of social-emotional wellness for learners, and encourages teachers to pay more attention to education policy decisions and governance. She also offers some great recommendations for Twitter accounts to follow, books to read, and more. Follow Soney on Twitter @DaysMrs. For more show notes on this episode, including timestamps and links, please visit TeachersOnFire.net. Jordan Potrzeba is a 4th grade teacher at Walter Caldwell Elementary School in Auburndale, FL. Imagine being told by your principal in your first year of teaching that you were different and didn’t belong. After experiencing just that, Jordan moved from Nebraska to Florida, where he found a school community that welcomes his energy, ideas, and unique personality. In our conversation, Jordan shares about his passion to see teachers grow, share, be vulnerable, and take risks. He also describes how travel and music enrich his life, and offers some great recommendations around books to read, Twitter accounts to follow, a great YouTube channel to subscribe to, and more. Follow Jordan Potrzeba on Twitter and Instagram @JordanPotrzeba, and check out his reflections on education at https://bloggingjungle.blogspot.com/. For more show notes on this episode, including timestamps and links, please visit TeachersOnFire.net. Tonya Gilchrist is a language teacher and literacy coach at Tokyo International School in Tokyo, Japan. An experienced speaker and presenter, Tonya advocates for learner agency, the inquiry mindset, and joyful leaders. Tonya knew she wanted to become a teacher since she was in third grade, but the daunting pressure and prescriptive directions to teach to standardized tests threatened to make her quit the profession altogether. It was after Googling “What else can I do with a teaching degree?” that she discovered the incredible opportunities in overseas education, and the rest is history. Today, you can hear the passion in Tonya’s voice as she talks about the influences of growth mindset, inquiry-based learning, translanguaging, and the importance of self-care. Follow Tonya Gilchrist @Mrs_Gilchrist, check out life at the Tokyo International School @TISLearns, and read Tonya’s latest thoughts on literacy and education at TonyaGilchrist.com. Bobby McCutcheon is the principal of Randall Elementary School in Independence, MO. He’s a husband, father, #GeniusHour advocate, travel junkie, Royals fan, and occasional political expert. After teaching for several years at the middle and high school levels, Bobby was offered the position of elementary principal and has never looked back. He points to a decision to transform his diet and fitness three years as a turning point in what has become an exciting journey of growth. Today, Bobby is passionate about building a positive culture at Randall and promoting creativity in his students through Genius Hour. You won’t want to miss his remarkable story about a struggling student who dove deep into learning about K-9 police dogs. His learning took him to places he’d never imagined, and he was able to share that journey with the entire school community. Follow Bobby McCutcheon @Fight4Mizzou and see what’s happening at Randall Elementary @RandallBears. Christopher J. Nesi teaches 9th grade history at New Brunswick High School in New Jersey and is a Professor of Communications at Rutgers University. He also hosts the House of EdTech and Podcast PD podcasts and operates the Education Podcast Network. In our conversation, Chris shares his passion to see educators and learners of all ages take up the endeavour of creative work: “You don't have to share it with the world ... but just create,” he says. He also shares a personal habit that contributes to his success, and gives us some awesome recommendations for accounts to follow on Twitter, the best maker channels to subscribe to on YouTube, books to read, and more. Find more of Chris’s content on these platforms: TW: @MrNesi, @HouseofEdTech, @PodcastPD, @EduPodNet Websites: ChrisNesi.com, HouseofEdTech.com, PodcastPD.com, edupodcastnetwork For more show notes on this episode, including timestamps and links, please visit https://teachersonfire.net/. In this episode of the Teachers on Fire podcast, we speak with Brooke Moore. Brooke is the District Principal of Inquiry and Innovation in Delta, BC, Canada. She is also an instructor at Vancouver Island University and the editor-in-chief of UBC’s Transformative Educational Leadership Journal, located at http://teljournal.educ.ubc.ca/. In our conversation, Brooke describes the experience of working through stiff parent resistance while introducing progressive strategies around assessment in a West Vancouver high school. She shares about some exciting cross-curricular learning initiatives she's involved with and lists some of her biggest passions outside of education: parenting, writing, and storytelling. Brooke also gives us some great recommendations regarding books to read, a Twitter account to follow, and much more. Follow Brooke on Twitter @BMooreintheloop and her blog at http://teljournal.educ.ubc.ca/. Visit TeachersOnFire.net for more info on this episode! In this episode of the Teachers on Fire podcast we speak with Caterina Rylance. Caterina is a middle school languages teacher and ESL coordinator at St. Theresa Catholic Middle School in Sherwood Park, AB, Canada. Still in her second year of teaching, Caterina talks about how her writing at survivingteaching.org became a healthy outlet for her to reflect on the mix of frustrations and victories that come with becoming an educator. A Ukrainian folk dancer on the side, Caterina shares about the joy she finds in learning new languages and bringing the rich diversity of other cultures into her classroom. She also describes a personal habit that contributes to her success and gives us some great recommendations for books to read, Twitter accounts to follow, an edtech tool to use in the classroom, and more. Follow Caterina on Twitter @CaterinaRylance, on Instagram @Miss.Rylance, on Facebook at https://www.facebook.com/SurvivingTeaching, and on her blog at survivingteaching.org. 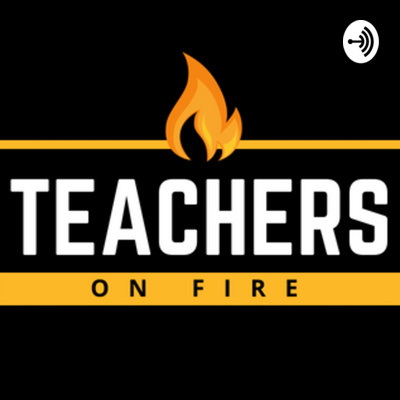 In this episode of the Teachers on Fire podcast, we chat with Adam Moler. Adam is a middle school history teacher at New Richmond Middle School in New Richmond, OH, USA. In this conversation, Adam speaks openly about what it was like to address some authentic doubts he was having about his own practice. He credits a solid PLN on Twitter and some inspirational reading as the key resources he looked to for the exciting reinvigoration he has experienced in his teaching over the last year, with more ideas and higher goals planned for the year ahead. He also talks about one of his true passions outside of education and shares some great recommendations for books to read, Twitter accounts to follow, and more. Follow Adam Moler on Twitter @Moler3031 and visit his blog at molersmusings.wordpress.com. For more show notes on this episode, including timestamps and links, please visit TeachersOnFire.net. In our tenth episode of the Teachers on Fire podcast, we chat with Adi Aharon, technology integration specialist at the top-rated Crofton House School in Vancouver, BC, Canada. In this interview, Adi discusses the challenge of working with everybody but nobody at the same time and affirms the value of building a strong professional learning network. She fills us in on the mission and vision behind her latest project, The Emotive Web (emotiveweb.ca), a resource for parents, educators, and learners of all ages seeking to manage technology in healthy and reflective ways. Adi is also an authentic lifelong learner and gives us some solid recommendations for books to read, thought leaders to follow, podcasts to listen to, and more. Follow Adi on Twitter @_adi, and check out the resources she offers at EmotiveWeb.ca and PlayCreateInnovate.com. For more show notes on this episode, including timestamps and links, please visit TeachersOnFire.net.